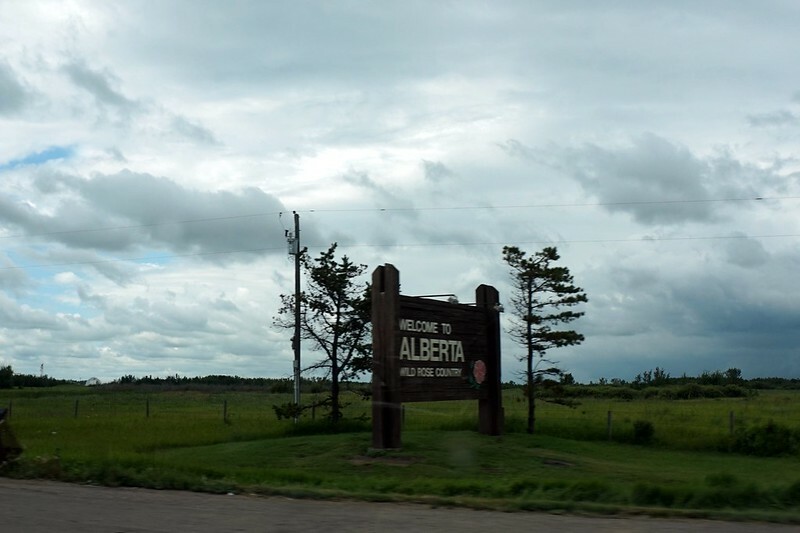 Arriving in Edmonton – Roadtrip 2014 – vegan in your city. After we left Lloydminster, the drive went by quickly, and as we passed through Refinery Row (a concentration of oil refineries in west Sherwood Park,in Strathcona County just east of Edmonton) it was like there was a sign up that said “Welcome to Alberta” (which of course there was, but just shortly outside of Lloydminster) and oddly enough – a sense of arriving home. 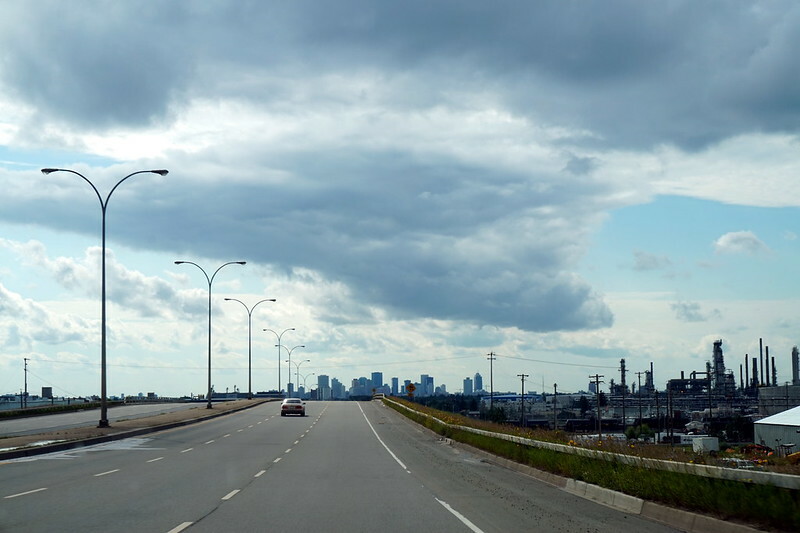 The Edmonton cityscape is still one of my favourites, with the Hotel MacDonald perched on the edge of the beautiful river valley, and the variety of buildings downtown, so driving into the city, even from a distance, is still familiar and comforting. I realized at some point that whenever I would leave Toronto, and come back, I’d get that same sense of comfort and “home” when I saw the CN Tower poking up from my highway vantage point. I have three homes in my heart, and the first one is Edmonton. While we were in the city, we did end up making it to the opening day of Earth’s General Store Downtown, and I was hopeful they’d do well. It was a nice big open space, with lots of room for deli items, and nice shelves. I liked the wide aisles and the diversity of products on their opening day. Downtown Edmonton was calm in the usual way it exists on the weekend, things always get busier during the week when offices are open, and people are running around and lingering after work. We had arrived too late in the day to take in the 104th Street Market aka The City Market (which I usually make a special point of visiting) but we wandered around the downtown core a little and mostly stayed at the hotel relaxing and zoning out in front of the television. The next day would be a bit more action packed. More soon!